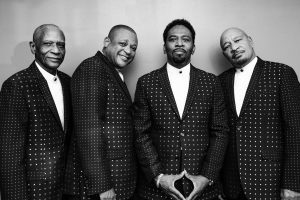 The Stylistics were formed in Philadelphia, PA in 1966 from two groups, The Percussions and The Monarchs. When members from each group were drafted, the remaining members joined forces and changed their name to The Stylistics. The group was then approached by Bill Perry, offering to record a song. Their first song, “You’re a Big Girl Now” was recorded at Virtue Recording Studio in Philadelphia, written by their guitarist at the time, Robert “Doc” Douglas and Road Manager, Marty Bryant. Before long, the song became a #1 hit in Philadelphia, and then other cities followed. Interested in promoting the record nationally, Bill Perry contacted Avco Records and made a record deal. Hit veteran producer Tom Bell was hired to produce the group’s first album titled The Stylistics, and out of that album came hit songs like “Stop, Look, Listen to your Heart”, “You Are Everything” and “Betcha By Golly Wow”. The success of this album was phenomenal, and the ball continued to roll with the release of their second album Round Two. The Stylistics soon became known as the Philly group with the sweet love songs. Herbert Murrell and Airrion Love are the remaining original members of The Stylistics. Friends since junior high school, Herb and Airrion have managed to keep the music alive. 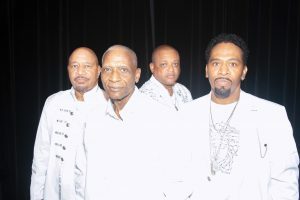 Their new lead singer, Grammy Award winning recording artist, Barrington “Bo” Henderson, began his professional career with groups such as The Dramatics and Lakeside, and later he became the lead singer of world-renowned group, The Temptations. He was featured on The Temptations album Phoenix Rising, which nearly went double platinum. Bo was also on the album Ear-Resistible, helping to win The Temptations a Grammy Award. The Stylistics are honored to welcome Barrington “Bo” Henderson to the group.